In some cases, it can be difficult to trace the connection between work conditions and a chronic health condition or multi-factorial injury. Often, a pre-existing condition or injury sustained off the job combines with work conditions to result in a disabling condition or illness. If you suffer multi-factorial injuries that you believe are work-related, you should consult an experienced Boston workers’ compensation attorney at Pulgini & Norton about the possibility of pursuing benefits. One of the most common reasons that insurers deny workers' compensation claims involving multi-factorial injuries is a pre-existing condition. Workers may not receive benefits for injuries that happened before they started working with their current employer or while they were off-duty. However, an employee may be eligible for benefits if he or she is hurt on the job, and this combines with or aggravates a pre-existing condition. Whether a condition is compensable may depend on a fact-sensitive consideration of the circumstances giving rise to the injury. For example, if you have bulging discs in your spine, you may be disabled. 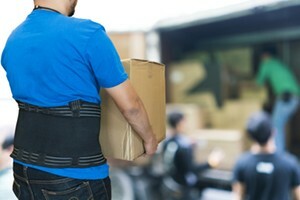 If the pain from the bulging discs was first triggered by a car accident years before you started your job as a telemarketer, and then the pain randomly flares up one day, it may not be a compensable injury. However, if you are a pizza delivery driver, and the pain from a disc bulge was first triggered by a car accident and then aggravated by your driving hours every day for work, the injury may be compensable. Similarly, if you suffer from a lung disease due to exposure to asbestos or another toxic substance in the workplace, an insurer may try to claim that you developed the disease because you are a smoker. In order to recover benefits, your injury must have arisen out of and in the course of employment. Your job must be a major cause of the injury or illness. However, it need not be the primary or even the predominant cause of your injury or illness. The testimony of physicians may be especially important when you have a multi-factorial injury for which you are trying to obtain workers' compensation benefits. An insurer has a legal right to send you to be examined by a doctor whom it chooses and suspend your benefits if you refuse to go or fail to show up to this "independent medical exam." As long as the doctor's report from the independent medical exam supports the action, the insurer can file a claim with the Department of Industrial Accidents to either stop or reduce benefits. If you or an insurer appeals a conference decision, you will be examined by an impartial physician. This is distinct from the independent medical examination. The impartial physician is not working for either the insurer or you, but instead preparing a report to assist the judge. However, in some cases, an impartial physician's report is inadequate. In that case, the judge may open the evidence so that each party can submit additional medical evidence. At Pulgini & Norton, our Boston workers’ compensation lawyers understand how to frame and present claims of multi-factorial injuries to an administrative law judge. We represent people in Newton, New Bedford, Weymouth, and other Massachusetts cities as well. Call us at 781-843-2200 or contact us via our online form for a free consultation with a workplace accident attorney.